What Will It Take for Women to Get Ahead in Leadership? What will it take? What has to happen before women show up in more leadership roles in U.S. businesses? The numbers represent an extremely disturbing trend. Although women make up over half the U.S. population, in addition to being more than 49 percent of the labor force, they still inexplicably absent in leadership in both public and private enterprise. Even in government bodies all across America, the role of women leaders are considerably underrepresented. The United States is near 70th of 188 countries, for women elected to national public office. This number is actually lower than in November 2004, when the U.S. ranked 57th. It can be argued that there is further need for research on how the participation of women in leadership roles could have an impact on policy. Regardless, the advancement of women in the workplace have clear benefits for both our economy and the nation. Several studies have visibly demonstrated that Fortune 500 corporations with women in leadership have performed better financially—the only metric that truly counts. In addition, hedge funds run by women also outpace industry standards. Sadly, of the top 1,000 CEOs leading the largest businesses in the U.S., 4.2 percent—that is only 42 individuals out of 1,000—are women. Additionally, many low-wage, service jobs that are shoring up our economy are performed by women. they are also in 54 percent of all service-sector jobs, as well as making up 77 percent of all education and health-service workers. Add to that the 80 percent of health care and social-assistance jobs, over 80 percent of workers in residential-care and nursing facilities are women. These jobs some of the fastest-growing in our economy. Even though women have made enormous advances in employment, they continue to be under represented (or actively held back) at almost every measure of corporate life in the United States. Again, what will it take for women to have a greater role in the American corporate landscape? 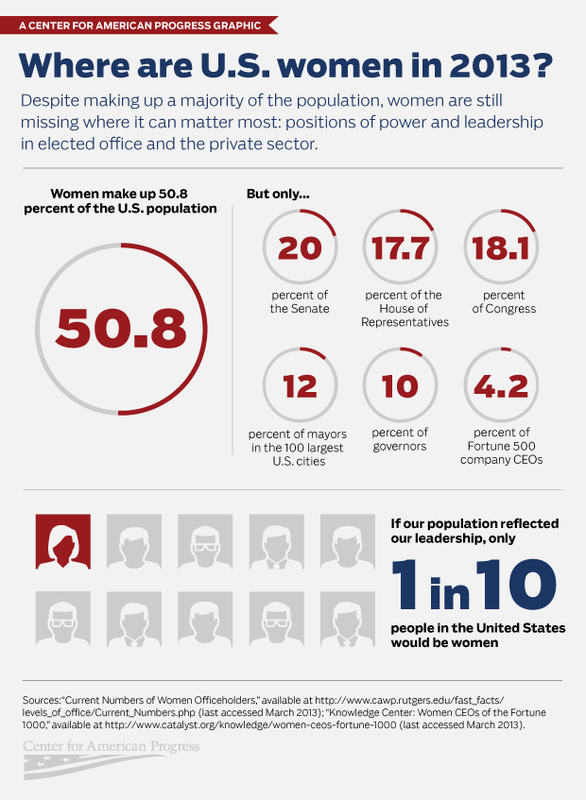 For International women’s Day, an infographic from the Center for American Progress, to demonstrate how U.S. businesses underrepresents women in leadership roles. 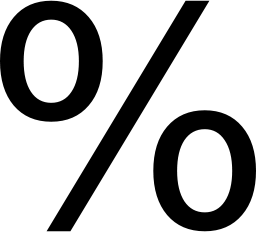 ‹ PreviousTwo Hiring Secrets You Need to Know NOW! Next ›Fired Over Social Media: Will HR Do It? Can They?